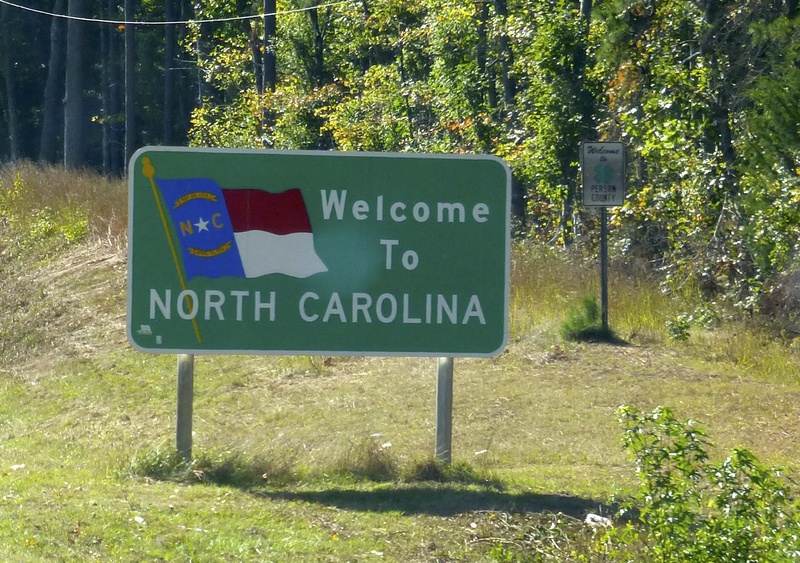 We crossed the state heading to Charleston, and though we did not spend a night, we did notch a couple more college campuses and one serious state fair. With all due respect to my friends and family who attended Duke, I am no fan of the Blue Devils. But game recognize game, so I had to check out the campus and Cameron Indoor (where I caught a quick glimpse of practice). The campus is hilly and most beautiful, with masonry of gray and beige instead of the ivy-covered red brick to which I am more accustomed. A short drive took us to UNC, and though I did not see enough of Durham for a fair comparison, Chapel Hill seemed like the more attractive town. We had lunch at Top of the Hill on Franklin Street, the main drag which is lined with shops and restaurants. Jenni made a nice southern selection of grit cake with mushrooms and shrimp. See my BBQ post for details on the pulled pork sandwich. This place is also a brewery. A couple other recommendations we got were Crooks Corner in town, G2B in Durham and Foster’s Market in between. A little further south we paid $10 to park across the street from the North Carolina State Fair in Raleigh, then $9 each to enter. The village of yesteryear was our first stop, which is a big indoor circle with live demonstrations of how to make things like: soap, candles, pottery, guns, tin, origami, glass, horse hair pottery, brooms and more. Duane Raver is a nature-painter there that Jenni’s family has known more years than I have lived. At the Neomonde Bakery artisan bread making show, Jenni guessed correctly that 200k people are born daily worldwide. This earned her a gratis pumpkin spice cupcake with thick cream cheese frosting. We fared less well at several games like toss the ring on the bottle, shoot out the red star with the rifle, knock over the blocks with a softball or lift the bottle with a pole and string. I was quite disappointed with myself. And with the game operators who pursued customers more aggressively than Allen Iverson avoided practice. A highlight of the day was the pig race show, which entailed a string of races including the categories of piglets, baby goats, ducks and Vietnamese pot belly pigs. The hosts had creative NASCAR names, and some of the clientele was entertaining. We probably should have saved our appetite for things like BBQ turkey legs, fried oreos and sloppy joe’s sandwiches between Krisy Kreme donuts. Instead, we ate only the fair classic of fried dough. The livestock section was educational. I did not know a cow could fetch $25k at market, nor that Zoe the Holstein could give 84 pounds of milk per day. For $2 each we got a quick lesson in how to pull the udder. There was an exhibit dedicated to honey bees, largely to raise awareness about their dangerously dwindling population. 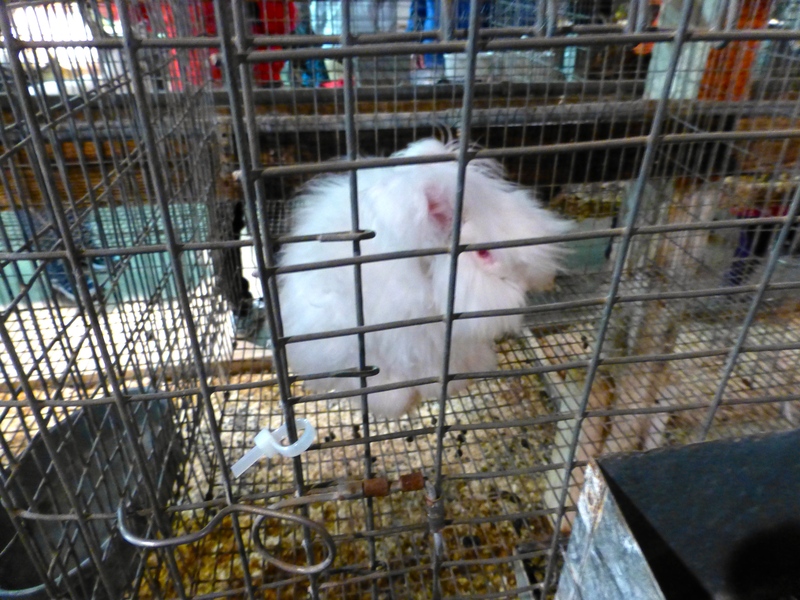 A separate building housed the rabbits, and I was surprised by the wide variety of breeds. I liked the furry white English Agoura. There was also an agricultural section, where we saw an 800 pound pumpkin, a 5 pound potato (and some really cool decorated spuds), and a 241 pound watermelon. Jenni saw walnuts and thought they were truffles. We are a long way from Cali, sweetheart. On the drive towards Charleston I stopped for gas in Lumberton, North Carolina. Based on the cast of characters at the station, you certainly should not if you can avoid it. If we had more time, it would have been nice to visit the Asheville area where Dave’s mom and dad live or the Outer Banks. Alas, one must leave with reasons to return. This entry was posted in North America, North Carolina, Uncategorized and tagged Chapel Hill, Duke, North Carolina, Raleigh, state fair on November 23, 2013 by aleavitt77.